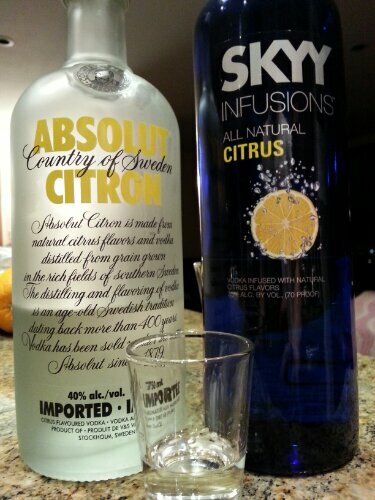 Here we have Round 2 of the citrus vodka battle, with the Round 1 winner Absolut Vodka up against the challenger Skyy Infusions Citrus. Nose: The newcomer Skyy has an amazing full-bodied bouquet of a nose, exhibiting the aromas of lemon zest, lemon oil, and a touch of the pulp when freshly squeezed. The nose of the Absolut is rather, well chemical in comparision; the alcohol is much more detectable and covers most of the lemon scent. Hands down the winner is Skyy Citrus. 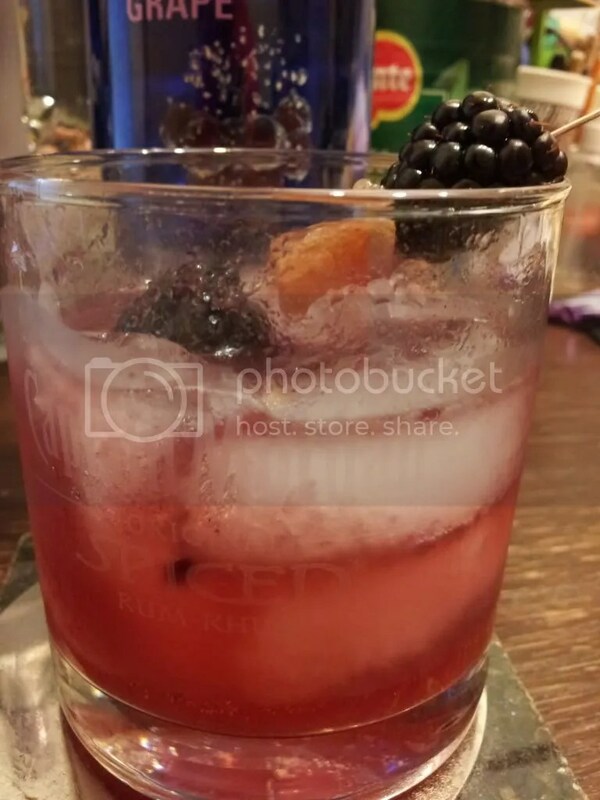 Taste: With such a promising nose on the Skyy, the taste should be equally as luscious. It doesn’t disappoint. Its entry is soft and rounded, medium-sweet with the tingly-light tangy citrus warmth kicking in the mids until the finish. The alcohol is soft and never invasive. Absolut drinks much sweeter and aggressive flavouring in all aspects – bolder but more artificial citrus, more vodka wheatiness, stronger alcohol burn and warmth, and rougher finish. In picking a winner based on enjoyability and balance, a new champion has been crowned in Skyy Infusions Citrus. Absolut has bolder artificial-tasting flavour, aggressive and alcohol. 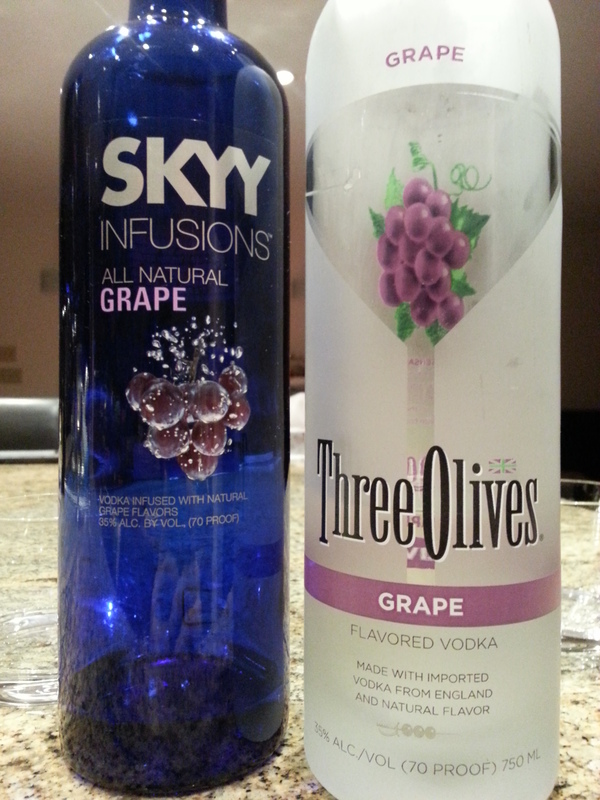 Not as good as Skyy. Skyy has better smoothness, authenticity of citrus flavour, and drinkability. This will work better with cocktails that require balance and finesse.